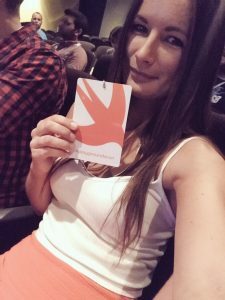 Last week, we sent our lead iOS developer and favourite Brit, Kseniya, to the 2017 Playgrounds Swift and Apple conference in Melbourne. It was cool to represent the women in tech. 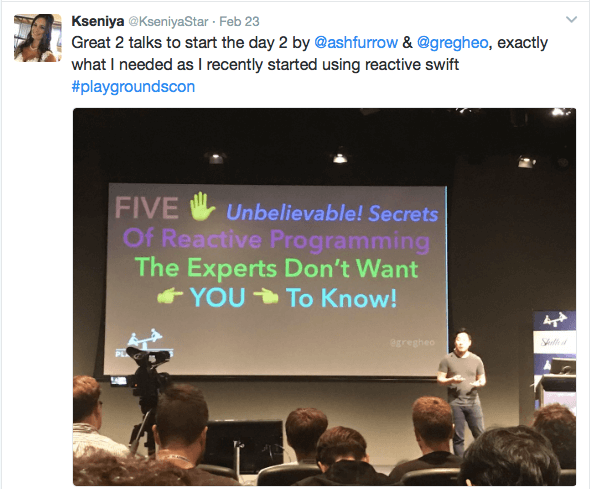 With Kseniya’s interest in Reactive and Functional Swift, some of the highlights from the conference were Chris Eidhof’s talk about functional programming and mutability in Swift. 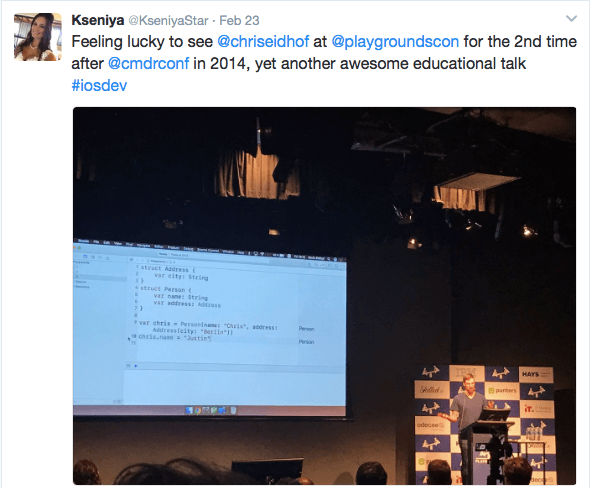 “Chris is awesome for technical talks because he can live code during his talk so it makes more sense and, somehow, it makes you want to go off and try his practices instantly”. Some other highlights included Greg Heo delving into Reactive Swift, Wendy Lu discussing the development of the Pinterest app and Harlan Haskins who was, “just awesome”. Harlan talked all things LLVM and building a compiler in Swift. "This sort of event really helps to get rid of any doubts you have about yourself as a programmer and really inspires you. It brings that community feeling of support and makes you want to try out all the things you learnt. As programmers, we are all pretty introverted and have anxieties, so being with people who feel the same and who show you what they can do just really helps personal development as a coder, let alone a female one! It’s awesome to know these amazing developers in person now from all over the world. 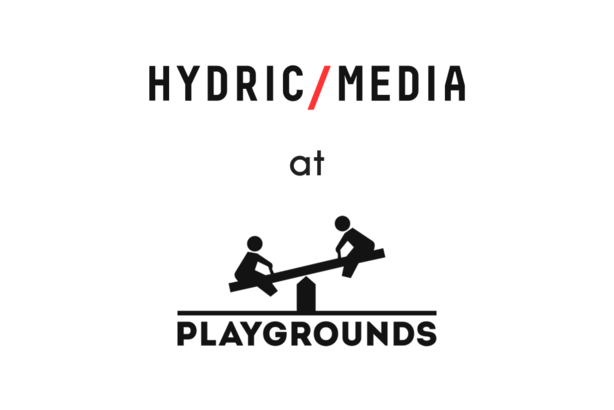 I can personally get in contact with them about best practices, rather than just be a newbie online asking questions. Plus now I have so many more twitter followers." You can follow Kseniya’s Twitter account to catch all of the highlights from the conference… Or, to just keep her follower streak going.